The Surphaser 3D scanner 100HSX is the best in its class. 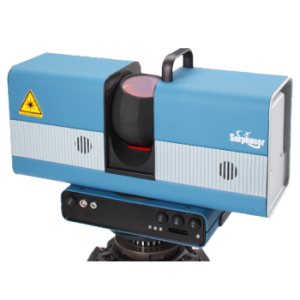 It’s the only spherical laser scanner that holds sub-millimeter accuracy on large-object scans over 35 feet. It’s our go-to scanner for the majority of projects 4 feet and larger. We utilize the short-range configuration (SR_100) for automotive scanning, rivet-level aerospace scanning, aircraft interiors, design and inspection. The longer-range configuration (IR_100HQ) is great for capturing full-size aircraft, large tooling, boats, buildings and a large array of aerospace applications.